MANILA (AFP) - At least 325 people were killed and hundreds remain missing in the Philippines following the deadliest typhoon to hit the country this year, the civil defence chief said on Dec 6. "We have 325 dead and this is expected to rise because many more are missing", civil defence chief Benito Ramos told a news conference. 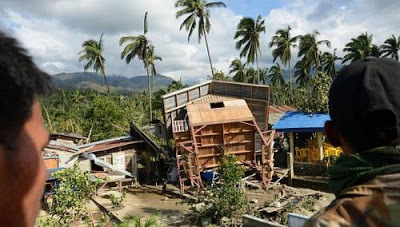 He did not give a fresh total for the number of missing after Typhoon Bopha ravaged the southern island of Mindanao on Dec 4. He noted, however, that both figures were "rising rapidly from single- to triple-digits" as rescuers reach more remote areas.